Leaf shape midway between the parent species, being elliptical in cross section. 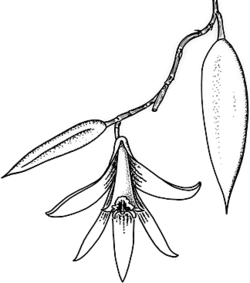 (Based on Smee 1999 who treats this hybrid within the genus Dockrillia). Distribution and occurrence: Natural hybrid recorded from the Watagan Mountains.